Calling all Talented Nigerian Wedding Photographers, Videographers, Venue Decorators, Makeup Artists and Wedding Planners! Are you a good wedding day service provider – Photographers, makeup artists, venue decorators, wedding planners etc? Does your work speak for it? Have you recently covered a glam and wow wedding within past 3 months? Our readers are mostly soon-to-be-married-brides who are presently planning their weddings, and seriously looking to find talented vendors like you. And over 50% of the time, they decide who to hire based on what they see in photos submitted by wedding professionals in our real weddings column. So, if your work usually makes brides smile and you want to get the attention of brides-to-be, then we would like to showcase your-work-in-pictures to our glam readers. Guaranteed feature: Because we receive tons of unsolicited submissions from businesses and it usually takes a while for us to sort through to find outstanding ones to feature on our blog. 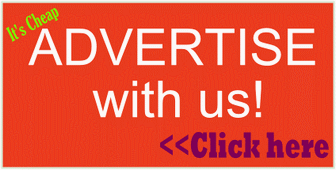 The quickest and guaranteed way to get your work showcased to thousands of NaijaGlamWedding.com readers is to join us as an advertiser – we have options, and all are affordable! Our sponsors are happy from the business they get from our readers. Tell your bride/ client submit their story and we will still credit you fully as the source. Our readers love to hear about weddings from the ‘mouths’ of the newlywed couple themselves. So if you recently covered a Nigerian wedding, we encourage you to send them to this page to personally submit their wedding to us. If you want to submit wedding photos as a wedding vendor or photographer, fill the form below, and ensure to read our submission guidelines down below. Ok, you understood all the above? Now, let’s go there! Your email _______________________ (This is where we’ll contact you if we decide to feature). Tell us about the wedding/ pre-wedding party that you are submitting___________(who is the bride, groom? Date of wedding? Wedding location (venue & state); highlights of the wedding). Click here to instantly upload the photos to us – this is our official Flickr photos pool (we prefer this method). OR Provide a link to where we can see more photos and get more information – can be a dropbox link or somewhere else. *Be sure to first read our photo submission guideline here in order to ensure your photos are in our acceptable format. Due to the amount of submissions we receive, we do not respond to submissions that do not follow the guidelines below. Updated May 2013, based on some great feedback we got from vendors! We only feature photos from real Nigerian weddings and weddings of expatriates living in Nigeria. We also feature engagement and marriage proposal shoots as well as pre-wedding parties (bachelors eve, bridal shower etc). We do NOT feature anything other than wedding day photography. We love weddings that are colourful, and photos that aren’t overly processed or seriously photoshopped. Diversity is our highest editorial priority. We favour wedding photos that include trad wedding pictures. That’s because so many of our readers are Nigerians and the only thing that makes Naija weddings unique is the traditional wedding ceremony, the aso-ebi, the colourful trad wedding attires, the trad wedding cake etc. Minimal watermarking. We love crediting photographers in our articles, and we prefer minimal watermarks that don’t cover the most part of the photo. We do not feature work submitted to other blogs. We love to respect other blogs and magazines by not featuring posts they have already published. We usually have a long queue of features waiting to be reviewed. So if your submission is accepted, we may not have room to publish it for month or more. Thank you so much for your patience with us! NaijaGlamWedding reserves the right to select the photos and/ or videos we feel showcase the wedding or pre-wedding party in a way our readers respond best. *Terms and conditions apply. By submitting your photos, you certify that submission is an original work taken by you and free from any third party rights, and that you have read and understood our submission terms and conditions, here.